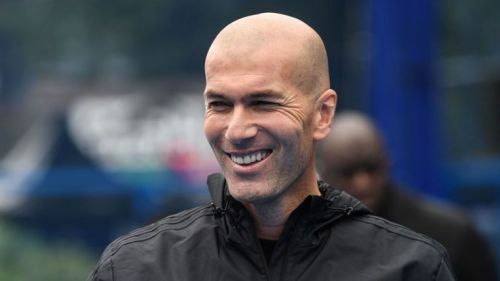 Following Santiago Solari's dismissal, Zinedine Zidane has sensationally returned to the Santiago Bernabeu as the manager of Real Madrid after leaving the same job less than 10 months ago. Real Madrid have now sacked two managers in the space of 5 months for the first time in the 21st century. If Julen Lopetegui's sacking was justified following Real Madrid's 5-1 humiliation to Barcelona in the La Liga, one would not have to look far for reasons to justify Santiago Solari's sacking to make space for Zizou's return to the Les Merengues. The timing of this appointment is queer but it is definitely not something that Real Madrid have not done before. Los Blancos are famous for their knee-jerk reactions. One trophyless season in 2015 was more than enough for them to sack the man who brought them their La Decima. One 4-0 loss to Barcelona in the La Liga was more than enough for them to sack Rafael Benitez even though Madrid was second in the La Liga table at that time and the gap between them and Barcelona was much less than what it is at this moment. Madrid was alive in all competitions when Rafa was sacked to make way for Zizou's first stint as the manager of the club. In fact, Real Madrid got eliminated from the Copa Del Rey under Zidane within two weeks of Rafa's sacking. 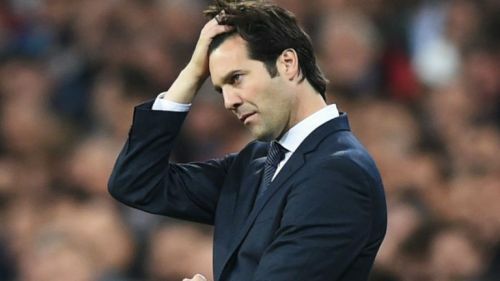 The squad had made it pretty clear to the Board of Directors in the Spanish capital that they will fight to the death for Santiago Solari. Alas, the Board was perhaps in no mood to listen. Given that, Zinedine Zidane has been made the coach of Real Madrid for the second time now and it is anybody's guess what he is expected to achieve in the remainder of the current season. If he really had to come back, why did he leave in the first place? There are many points worth being noted here. No one could have explained Zizou's exit from the Spanish capital better than Zizou himself. He made it pretty clear. He wanted to leave the Los Blancos on a high. He knew it would be extremely difficult for him to win major Silverware again with Real Madrid given the club's transfer policy and the imminent departure of Cristiano Ronaldo. To be fair, Cristiano Ronaldo's potential departure was not the spark that triggered his move away from Madrid. It was more to do with Florentino Perez's lack of a strong will to sign a replacement. Florentino Perez would always try to sign a big money player before looking for cheaper alternatives. This approach just did not click with Zizou. He was pretty smart to leave Madrid at a time when he knew that Los Blancos were on their way to a trophyless season and that is exactly what happened. He is convinced that the disaster that has ensued in recent weeks at the Santiago Bernabeu will force the Madrid hierarchy to overhaul a squad that had overwhelming cracks ever since he left Madrid. Florentino Perez now knows that he can not bank on young talent and academy graduates to replicate the success Zizou enjoyed at Madrid. Real Madrid needs experienced and talented players at every position in order to make a strong case for domestic and European success in the years to come. He might not be able to win any trophies with Real Madrid in the current season given the fact that Real Madrid is 12 points adrift of the top spot in La Liga with only 11 matches remaining, but if he can go unbeaten in all 11 matches, he will be able to bring a much needed feel-good factor into the Real Madrid dressing room. Who knows? If he can win all of Real Madrid's remaining La Liga fixtures in the current season, he might be able to push Real Madrid into the second spot in La Liga. It has to. Real Madrid will look like absolute clowns if they fail to win at least the Copa Del Rey next season. They have sacked two managers in the space of 5 months in the current season which they will almost surely end trophyless. They are extremely likely to carry out an aggressive summer transfer campaign with a purported budget of around €300 million in the run-up to the coming season. If they go trophyless next season as well, they will become the laughing stock of the entire world. This move may have cut ice with the general Madrid populace. 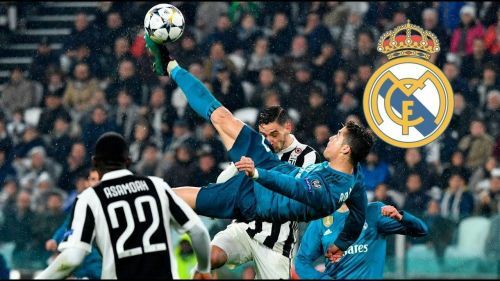 It may have quelled the hue and cry that ensued following Los Blancos exit from the Copa Del Rey and the Champions League in the space of a week. However, if the club fails to deliver success in the coming season, they will have no excuses left to make. This is now upon Zinedine Zidane. He has to prove to the world that this move was much more than just a PR stunt. He knows that it was not necessary for him to return. He was linked with so many clubs all across Europe. He could have gone anywhere in the summer and yet he chose to come back to Real Madrid. Real Madrid will be closely scrutinized by the football fraternity in the coming weeks. Let's see how the Spanish giants fair.